In this final bill, the majority of the corporate provisions would be permanent while the individual provisions would be set to expire by the end of 2025. The trillions in tax cuts included in this final bill are mostly offset by revenue-raising measures. The nonpartisan joint committee on taxation asserts that this bill would increase deficits by an estimated $1.46 trillion over the course of over the next ten years. Gets rid of personal exemptions: Currently, you can claim $4050 in a personal exemption for yourself, your spouse, and each of your dependents. This lowers your tax burden by lowering your adjusted gross income. Reduces individual rates for many: While the bill keeps the seven tax brackets, the rates that apply to them will change. Currently the rates are 10%, 15%, 25%, 28%, 33%, 35%, and 39.6%. The new rates would be: 10%, 12%, 22%, 24%, 32%, 35%, and 37%. 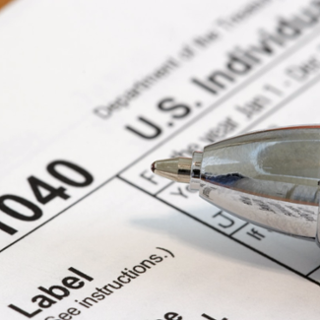 Almost doubles the standard deduction: The bill would increase the standard deduction for single filers to $12,000 from $6,350 currently; couples filing jointly will see an increase to $24,000 from $12,700. This will certainly affect the percentage of filers who decide to itemize their deductions because the only reason to do so would be if the deductions will exceed your standard deduction. Child tax credit expanded: The credit under the new plan will be $2000 for children under the age of 17. This credit could also be utilized by high earners because the income threshold would rise to $200,000 for single parents, which is an increase from the $75,000 that it is currently; and to $400,000 for married couples from the $110,000 it is today. As with the first $1000 of the child tax credit, $400 of the second $1000 will be refundable, which means middle or low-income families will be able to get the money refunded if their income tax liability is net zero. Mortgage interest deduction is lowered: Currently, you are allowed to deduct interest on debt up to $1 million on a mortgage for a first or second home today, but the new bill would only allow deduction of up to $750,000. Homeowners who currently have a mortgage would not be affected by this change. Additionally, interest on home equity loans would no longer be deductible. Currently, you’re allowed to deduct these loans up to $100,000. State and local tax deduction caps: Currently, the deduction for your state and local property taxes and income or sales tax is unlimited. The final bill will keep the state and local deduction for those who itemize, but the amount would be capped on the deducted at $10,000. Establishes temporary credit for non-child dependents: Parents would be allowed to take a $500 credit for each nonchild dependent whom they are supporting, such as and in need elderly parent, adult child with a disability, or a child 17 and older. Doubles the amount of money exempt from estate tax: In the final bill, the amount that an individual and couple are allowed to make exempt from estate taxes will double to $5.49 million and $10.98 million for married couples. Mandate to buy health insurance is eliminated: This means there would be no more penalties for not buying insurance. It is predicted to save the federal government money because it would reduce how much the government spends on Medicaid and insurance subsidies. However, some experts note that this repeal could raise premiums due to the fact that a larger number of healthy individuals may choose not to buy insurance at all. Inflation adjustments are decelerated in tax code: A slower measure than what we use today, a “Chain CPI,” would be used with this final bill. Because the inflation-adjusted dollars that define eligibility and maximum value would be growing much slower, your credits, deductions, and exemptions will hold less value. Reduces the number of filers affected by the alternative minimum tax (AMT): This final version of the bill reduces the number of people who would be affected by the alternative minimum tax by increasing the income exemption level to $70,300 for single filers, up from $54,300. Also, the exemption level for couples filing jointly would go up to $109,400 from $84,500. Cuts the corporate tax rate: The final version of the bill would/the corporate tax rate to 21% from 35% beginning next year. This was intended to make some revenue to accommodate lawmaker demands on other provisions. In addition, the bill would repeal the alternative minimum tax on corporations. Reduces the tax burden on pass-through businesses: Owners and partners and shareholders of S corporations, partnerships, and LLCs, who pay their businesses taxes through their individual tax returns would see their tax burden lowered by a 20% deduction. This deduction would not be allowed for anyone in the service business unless their taxable income is less than $315,000 if married and $157,500 if single. 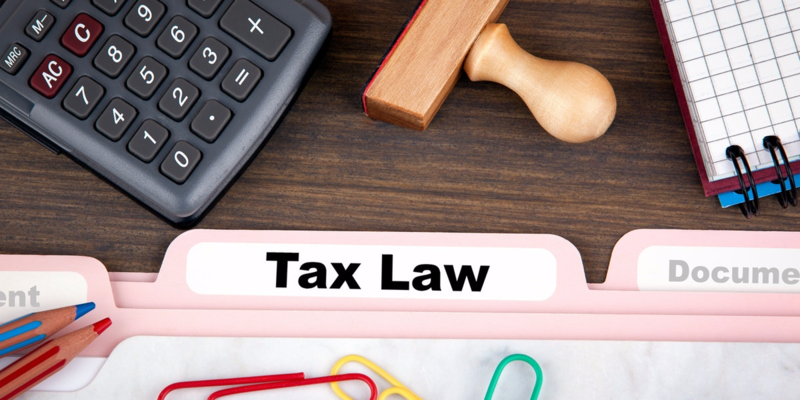 The rule included preventing abuse of pass-through tax break: Salary drawn from a pass-through business by an owner or a partner would be subject to ordinary income tax rates. However, in a move to prevent people from recharacterizing income wages as business profits to receive the pass-through deduction, the final version of the bill would implement limits on how much income would qualify for this deduction. Tax for U.S. multinationals changes: Currently, companies in the US are required to pay taxes on all of their profits no matter where the income is earned. They can wait to pay the US tax on foreign profits until they bring that money back to the United States. Many say that this tax system puts American businesses at a detriment because many of the foreign competitors are in countries with the territorial tax system, which means they do not owe tax to their own government on any of the income that they make outside of their own country. The final bill proposed switches the United States to a territorial system including some anti-abuse provisions with the intent to keep corporations with foreign profits from abusing loopholes. It would make companies pay a one-time tax rate on their current overseas profits–15.5% on cash assets at 8% on non-cash assets. For information on how FamilyVest can help you prepare for upcoming changes to our tax laws, contact us today for a free no-obligation discovery call.